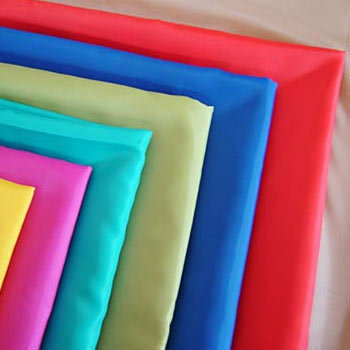 We offer 100% Cotton Polyester Micro Fabric Cotton Nylon, which a premium quality dyed fabric used for manufacturing and designing varied kinds of apparels. These are available in myriad colors and are fabricated with the use of premium quality dyes. Moreover, these are also known for colorfastness, market competitiveness, and can be produced in accordance to customers’ specifications.